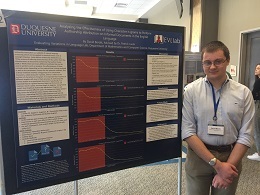 Many of our math and computer science majors complete research projects with our faculty. 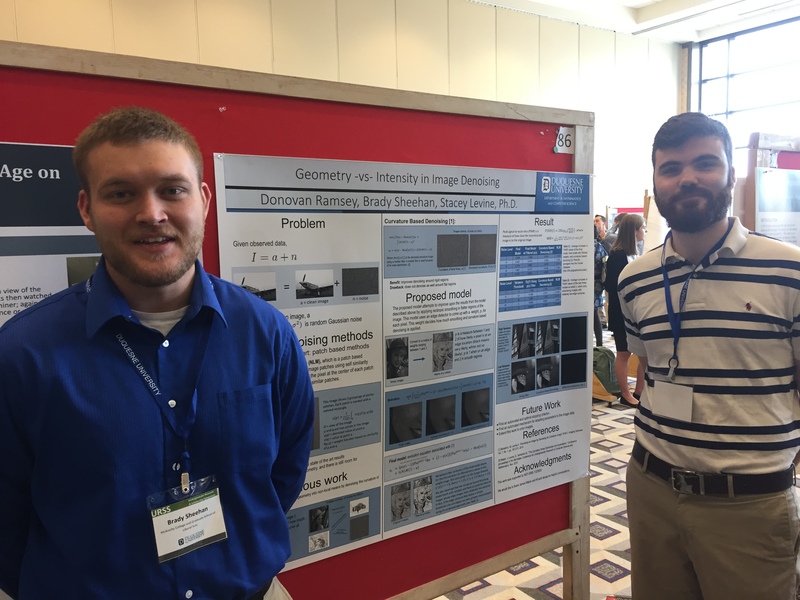 Below are some of our recent undergraduate research posters, presentations, and publications. "Quantifying Iron Overload using MRI, Active Contours, and Convolutional Neural Networks "
"Calculus of Variations Based Deep Learning for Image Processing"
"Analyzing the Effectiveness of Using Character n-grams to Perform Authorship Attribution in the English Language"
"The effect of punctuation formatting on authorship attribution of formal writings "
"Deep Learning for Image Curvature Data"
"Quantifying Iron Overload using MRI, Active Contours, and Convolutional Neural Networks"
Undergraduate math and physics major Joshua Baktay is the lead author of a peer-reviewed publication in SPORA: A Journal of Biomathematics. In this paper, Joshua and his co-authors present a computational model of neural activity in the amygdala during pain. 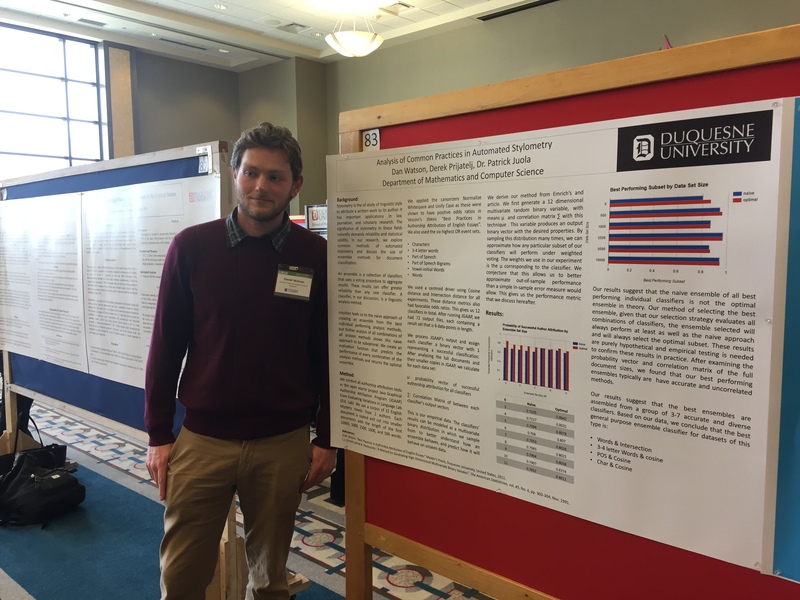 This work was completed under the advisement of Dr. Rachael Neilan (Math) and Dr. Ben Kolber (Biology). The publication is available online for open access. Great job, Joshua! 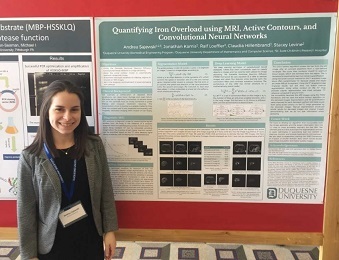 Andrea Sajewski, double major in biomedical engineering and mathematics, is a co-author on a recently published article in Journal of Magnetic Resonance Imaging. The publication is available online here. Amazing work Andrea! 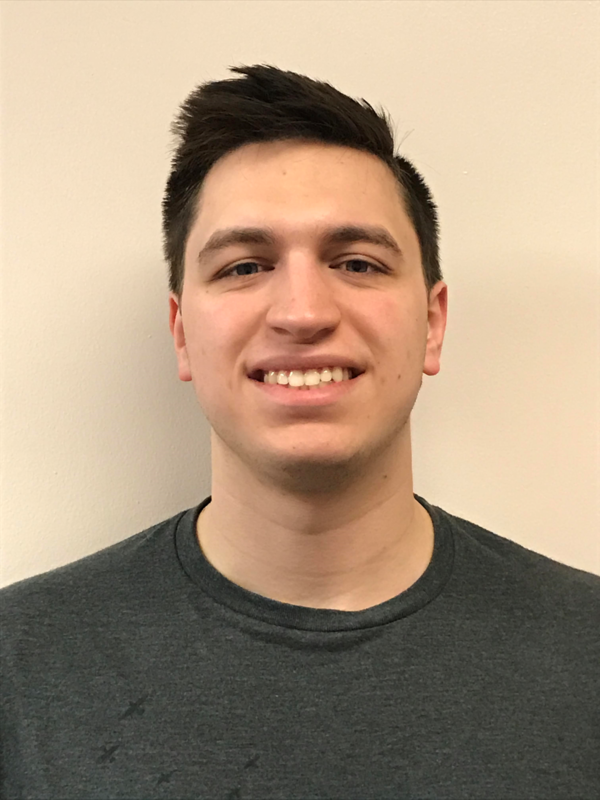 David Berdik, Computer Science major, presented his research paper at the Chicago Colloquium on Digital Humanities and Computer Science (DHCS). 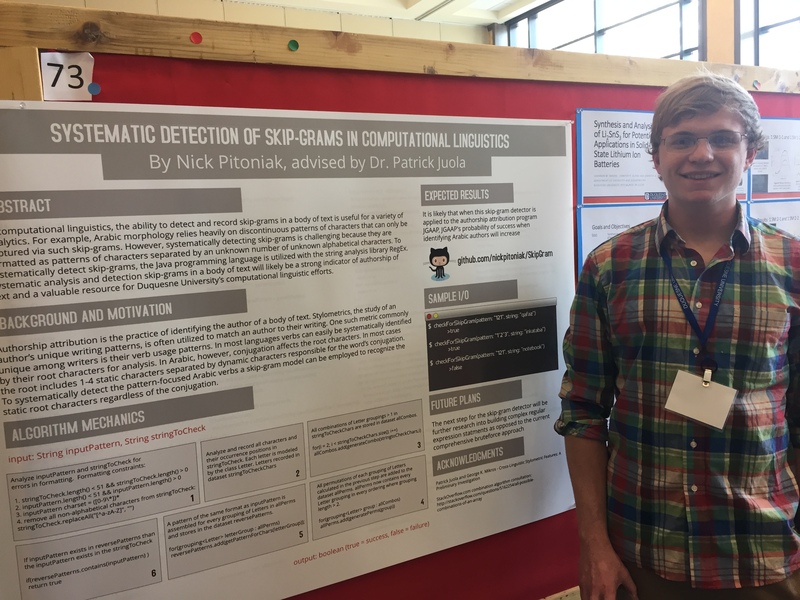 His research on using character n-grams to identify authors was guided by Dr. Patrick Juola, Professor of Computer Science. 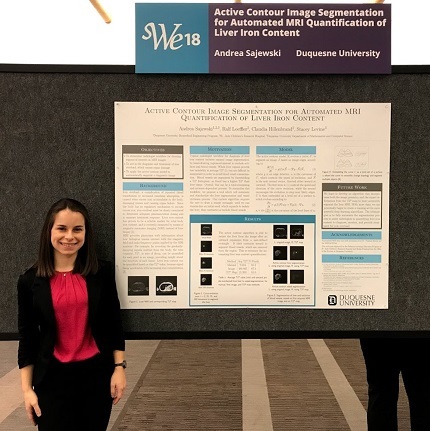 Double major in biomedical engineering and mathematics, Andrea Sajewski, presented her poster at the Society for Women Engineers (SWE) (http://societyofwomenengineers.swe.org/) Collegiate Research Competition in Minneapolis. 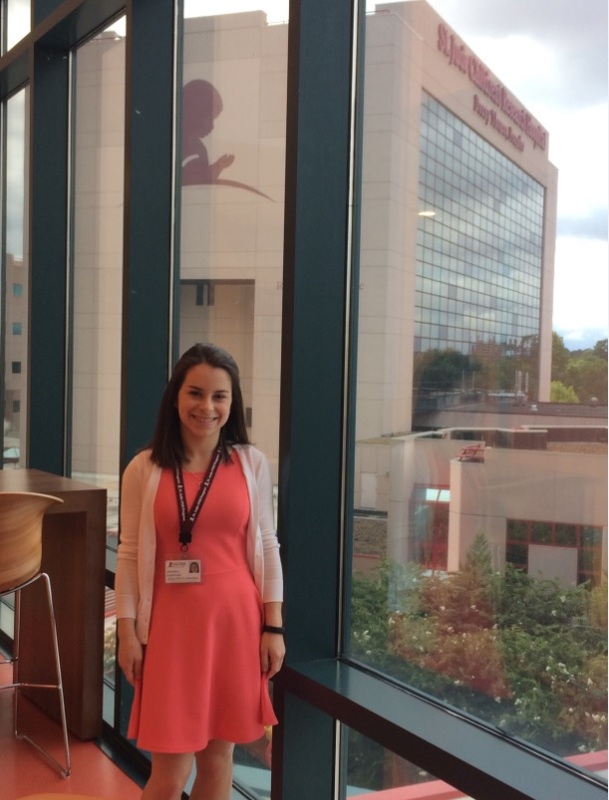 Congratulations on being one of the top 10 undergraduate finalists! 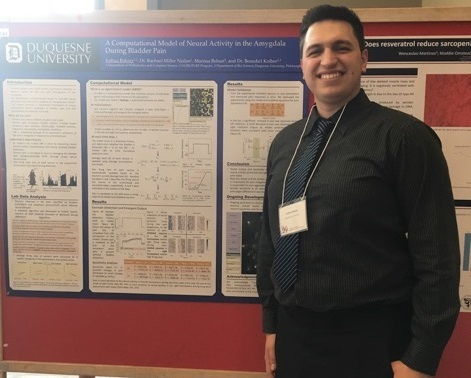 Undergraduate math and physics major Joshua Baktay, presented his research in computational neuroscience at the Summer Undergraduate Research Symposium on July 27th. 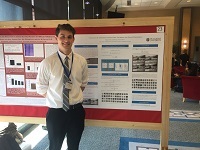 Josh participated in the 10-week Pain Undergraduate Research Experience (PURE) this summer with advisor Dr. Rachael Neilan. 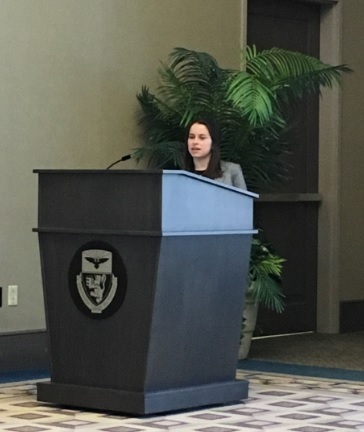 Four of our majors presented posters at the Undergraduate Research and Scholarship Symposium on April 11th. 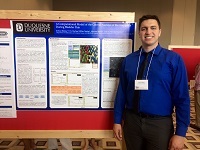 Derek Prijatelj and Nicholas Marshman (advised by Patrick Juola), Andrea Sajewski (advised by Stacey Levine), and Joshua Baktay (advised by Rachael Neilan) displayed their research in mathematics and computer science. 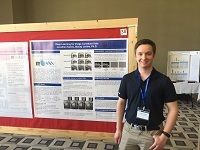 Joshua Baktay received an honorable mention ($100 prize) for the BSNES Excellence in Research award. "A Computational Model of the Central Nucleus of the Amygdala During Bladder Pain"
"Geometry -vs- Intensity in Image Denoising"
"Systematic Detection of Skip-Grams in Computational Linguistics"
"Analysis of Common Practices in Automated Stylometry"